Original Flintstones: lots of inspiration. 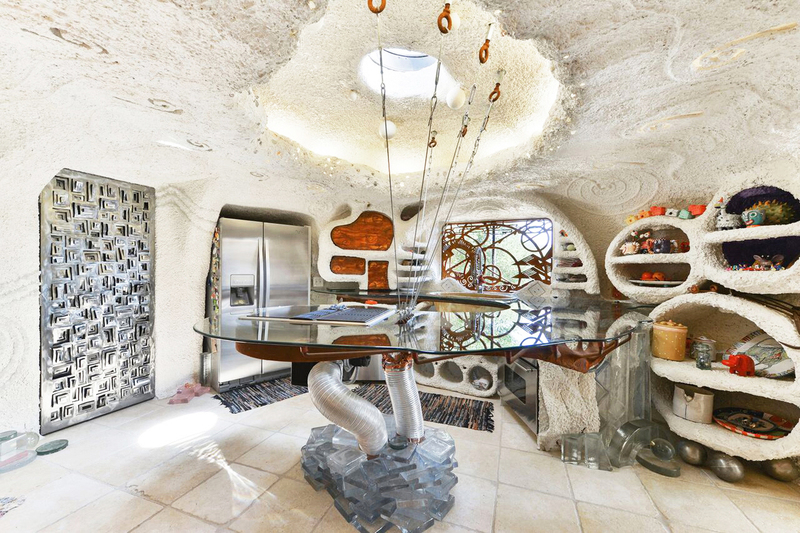 Flintstones House kitchen design by architect Eugene Tsui. Remember that episode of 'The Flintstones' when the Rubbles complain about Wilma's home improvements next door, and then Bedrock City Hall fines Fred and Wilma 200 clams and orders them to put Dino inside? No? That's because this is no cartoon. This is…the NIMBY Zone. 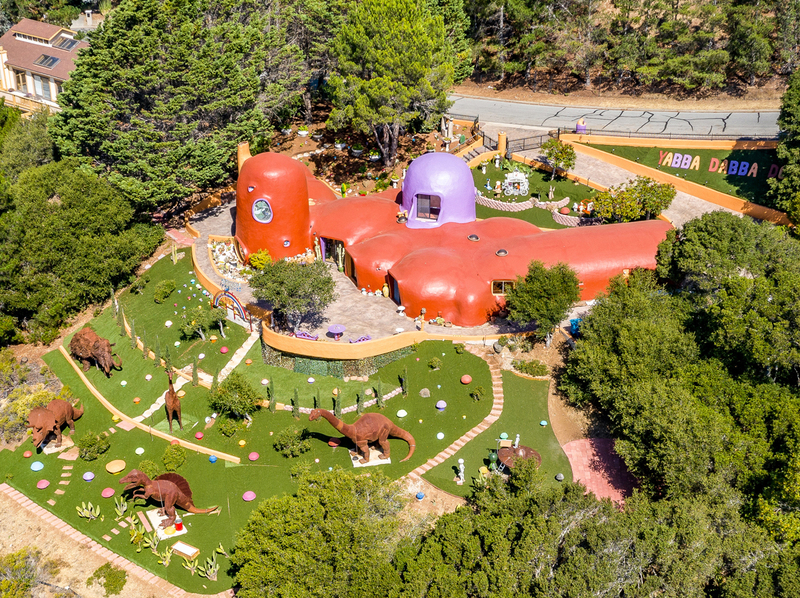 The so-called Flintstones House at 45 Berryessa Way has long been one of the highest profile homes in the upper-crust community of Hillsborough, especially after being painted orange and purple in 2007. Its hilltop perch is readily noticeable by motorists crossing the Doran Memorial Bridge over San Mateo Creek on Highway 280, just two minutes north of the San Mateo Highlands Eichlers. Surprisingly, though, that colorful palette was not what drew the ire of its neighbors, and ultimately city hall, but instead it was some less garish improvements made by the new owner. "They don't want Fred Flintstone as a neighbor," attorney Angela Alioto alleged to the San Francisco Chronicle recently after being enlisted on the case by owner Florence Fang. "I mean, it's the Flintstones! 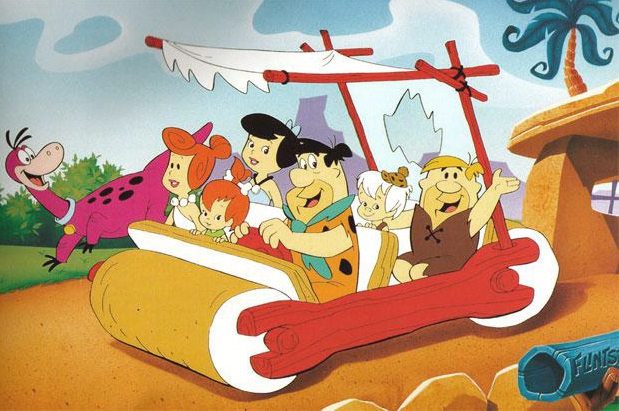 What kind of elitist group of people don't understand the Flintstones?" Clearly, that would be a group that does not appreciate Fang's taking the house's most recent incarnation and running with it. 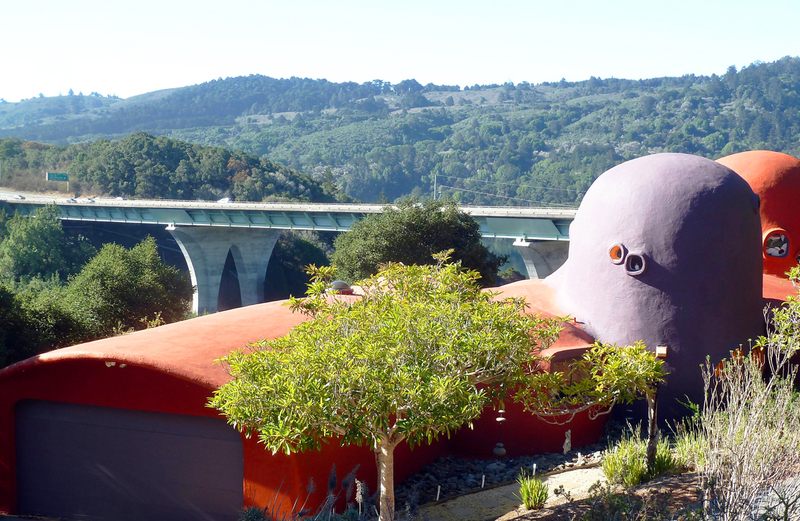 Fred and Wilma are merely the latest fictional residents of a structure previously known by such colorful monikers as the Gumby House, the Barbapapa House, the Marshmallow House, the Adobe, and the Dome House. The house is by far the most noteworthy work by Bay Area architect William Nicholson, built in 1976 as an experiment in unconventional shapes and materials. Its Bedrock style of modernism was achieved by San Francisco builder Wayne De San Martino's crew spraying shotcrete onto atmospheric balloons framed by rebar and mesh.